Our unique approach to investing in and operating our properties ensures that our focus remains on creating value and establishing strong relationships with tenants, brokers and financial partners. We work hard to identify and operate properties that generate attractive returns and deliver positive experiences for the communities in which they are located. The search for value begins with minimizing risk. That is where we begin our analysis on every deal. Only when we are confident that key risks can be mitigated do we look at incremental value. Brixton’s approach is to drive value on multiple levels, leveraging our extensive experience to maximize value on each and every asset we own. We believe being close to the real estate reduces risk. 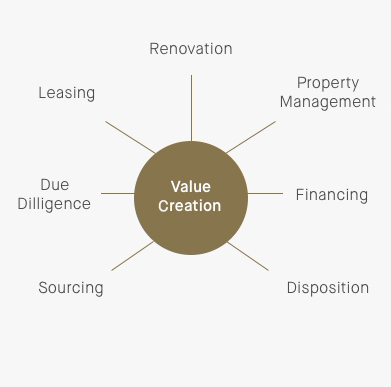 We choose to control every aspect of a property and with an integrated team of more than 50 professionals working in synch, we are able to effectively source and manage properties to unlock value. This specialized approach allows us to pursue opportunities other investors aren’t geared for. We like to win. By concentrating our efforts on complex assets with transaction value of $10M to $75M where there is typically a scarcity of capital and less appetite for complexity, we feel we have an edge. We look for off-market opportunities as well as contexts defined by compelling seller circumstances. Our investment approach is highly adaptable. 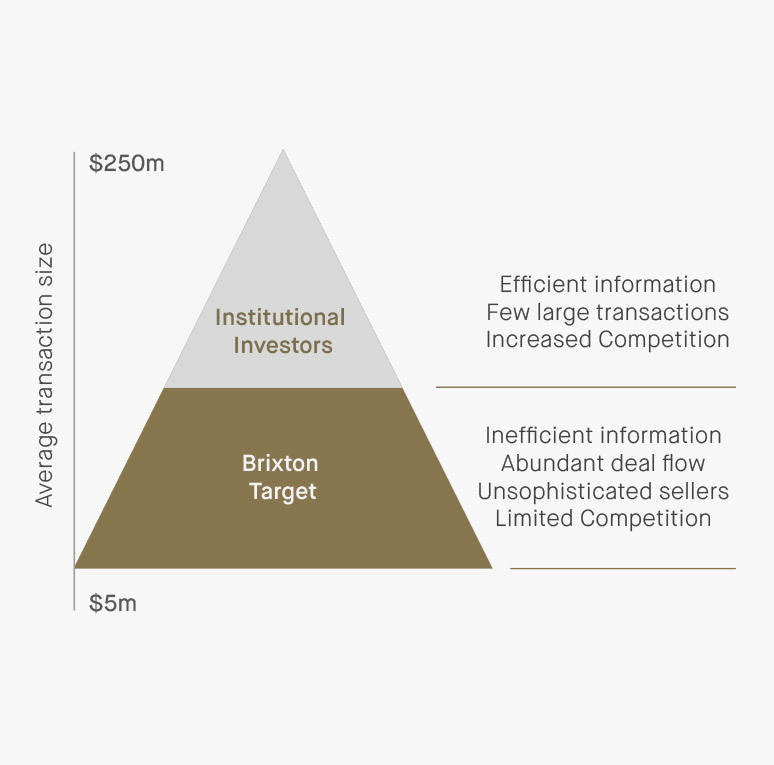 To enable us to effectively capitalize on changing market dynamics, Brixton has been designed to operate effectively across property type, risk level and geography.